On the Road to Damascus: I am the man on the train. I am the man on the train. I want to share a story the Reverend Know-it-All told on Father Simon Says this morning. There was a man who worked for the local train company. His sole job was to make sure a train bridge that spanned a large river was down when there was a train coming and up when there wasn’t so ships could traverse the river. One day he brought his only son to work with him. It was his son’s four year birthday. He showed his son off to everyone in the station before heading out to bridge house. At the bridge house he was playing with his son down by the bank of the river when he heard the whistle on the approaching train. He ran to the control room and got ready to pull the lever to lower the bridge. He looked for his son but he was nowhere in sight. In a panic his eyes darted around the landscape looking for his son. He saw his son climbing into the gearing of the bridge. He didn’t have time to go get his son and still get the bridge lowered in time for the train to cross. He did the only thing he could do. He pulled the lever and lowered the bridge. He felt his heart being torn from his chest as the bridge came down and crushed his son. Tears streamed down his face as the train rambled by the control room. Inside sat people drinking their coffee, reading their papers, or just staring out of the window, totally oblivious to the price that had just been paid to save their lives. We are the people on the train. We go through our lives totally oblivious to the price that was paid for our salvation. This is one of the most quoted verses from the bible. You can find it just about anywhere you go. Yet it seems to be one of the least understood verses judging by the way people live their lives. Jesus gave his life for me and therefore I am obligated to live mine for him. I no longer have the right to go through this life with myself at the center. I am to be Jesus to others. Today is the Feast of the Sacred Heart of Jesus. 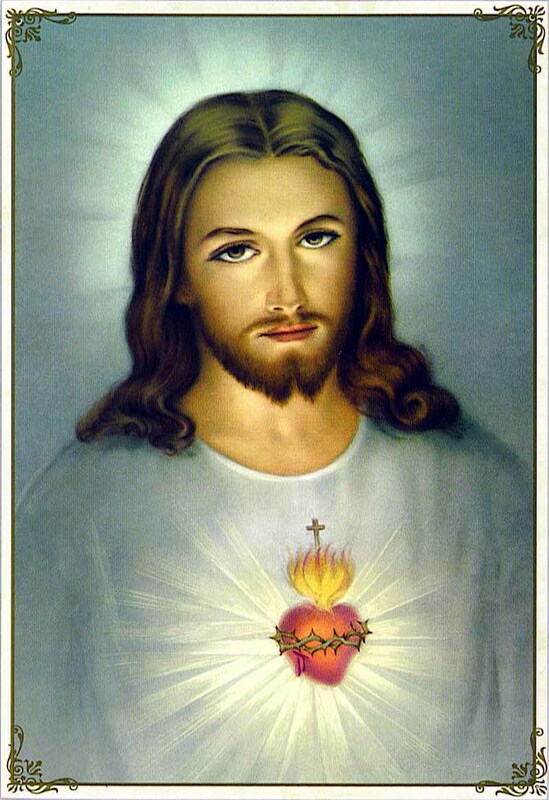 Oh most Holy heart of Jesus, fountain of every blessing, I adore you, I love you, and with lively sorrow for my sins I offer you this poor heart of mine. Make me humble, patient, pure, and wholly obedient to your will. Grant, good Jesus, that I may live in you and for you. Protect me in the midst of danger. Comfort me in my afflictions. Give me health of body, assistance in my temporal needs, your blessing on all that I do, and the grace of a holy death. Amen.